LONDON - Andy Hornby, who was CEO of HBOS until it was taken over by Lloyds Banking Group in January in a rescue arranged by the government, has been appointed group chief executive of Alliance Boots effective 1 July. In this new role Hornby will report to executive chairman Stefano Pessina. According to Alliance Boot, Hornby has ‘considerable retail and marketing experience', having been at ASDA where he held a number of senior general management roles including managing director of its clothing business George. He later lead the retail divisions of Halifax and then HBOS, before becoming chief operating officer and finally chief executive. 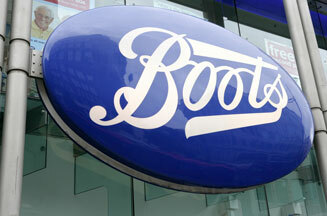 Alliance Boots is an international pharmacy-led health and beauty group offering a wide range of products and services. The pharmaceutical wholesaler and health and beauty retailer has been without a chief executive since Richard Baker left in 2007 after group became private in a venture operated by Pessina and private equity group Kohlberg Kravis Roberts.